Khush Kush is one of my favorite farms because the bud speaks for itself. One look at this Vietnamese Bubba in particular, and you know it’s gonna be quality: purple and silver frosty bits overlaying its deep, subtly green buds. 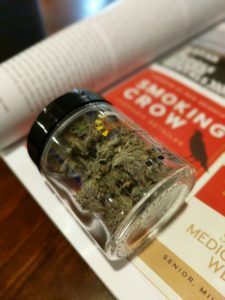 This is one of those subtle sativas that won’t cause anxiety or paranoia, but will rather work in the background, keeping you clear-headed and happy. Don’t let your innocuous childhood memories of sugary cereal cause you to underestimate this strain: Fruity Pebbles The Weed is strong and stoney. It will turn your afternoon (I wouldn’t smoke this in the morning if I were you) into a cartoony fun time. A bowl of these dense, green and orange nuggets gives off a sweet, piney aroma, thanks to the one-two terpene punch of alpha-Pinene and Myrcene, the latter of which brings a gradual, happy couch-lock. 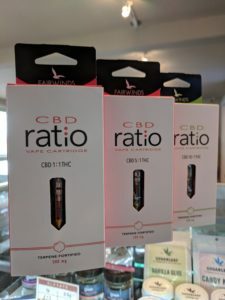 Fairwinds’ Ratio line of vape cartridges are designed to help you find the cannabinoid ratio that’s right for you. Keeping in mind the entourage effect (whereby CBD, THC, terpenes and other cannabinoids work together for ultimate effectiveness), you can choose among CBD:THC ratios of 1:1, 5:1, and 10:1. The 1:1 cartridge still got me high, giving me the benefits of THC with an equal amount of CBD that loosened my anxiety and kept me relaxed and functional. One great feature of these carts is that they are fortified with natural terpenes. Its special blend is high in Caryophyllene and Limonene, which in addition to therapeutic benefits provide a flavor reminiscent of black licorice. 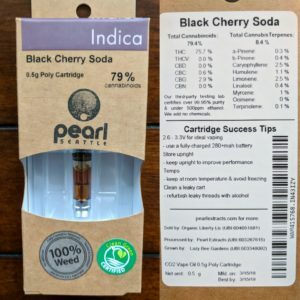 Pearl Extracts make some of the most reliable cartridges I’ve used, and this Black Cherry Soda is one of their best-tasting varieties. It doesn’t hurt that Black Cherry Soda is an especially lovely indica — one that provides a significant mood boost (thanks to its large percentage of the terpene Limonene) in addition to the stress relief and relaxation you expect. And with 8.4% total terpenes, every hit of this vape tastes delicious. Sweetwater is one of those farms whose new drops I always have to try. 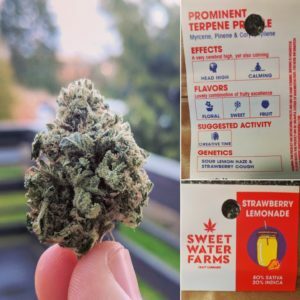 Their focus on quality, terpenes and flavors, recommended activities, and overall balance really appeals to me. Strawberry Lemonade is a sativa hybrid that packs a punch. Sour Diesel fans, take note: this cross of Sour Lemon Haze and Strawberry Cough brings a similarly legendary uplift. 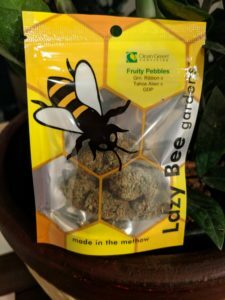 Not only does it smell and taste just as sweet as its name suggests, it’s a great strain for creative pursuits, getting tasks done or just feeling better after work. 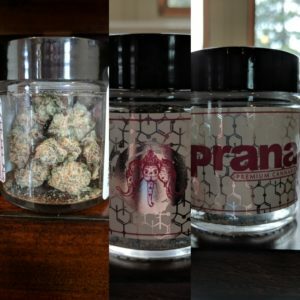 This week my fellow budtender Lena really enjoyed Brandywine by Prana. This is an instant classic indica with beautiful purple, silver and orange buds. You can barely see any green because of a thick layer of snowy trichomes! Lena says that it provided her a warm, tingly body high; all tension melted away as her eyes got heavy. This is a strong indica that will glue you to the couch and make you nod off.